The evaluation of global and specific migrations from glass tableware or containers to the substances in contact with them, aimed at verifying the compliance with the limits imposed by legislation, falls within the framework of the regulatory obligations that each manufacturer is required to fulfill before placing its products on a certain national market. 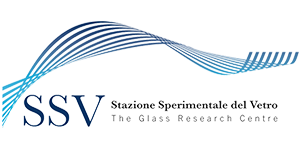 Stazione Sperimentale del Vetro is a specialized laboratory recognized at the European level for this type of analytical characterizations; moreover, thanks to decades of experience in the field, SSV can also provide support in identifying the types of tests to be carried out, the standard methods to be followed, and the legal limits for the various countries of destination of the glass products. In addition, thanks to its advanced analytical instruments (e.g. ICP-MS) and to the proven expertise of its technicians, the chemical laboratory of SSV is capable of assisting the customer in the execution or even in the design of custom tests. The DM 21/3/73, in force in Italy, prescribes a series of global and specific migration characterizations for glass articles intended for contact with food, whose test parameters depend on the expected duration of contact with food substances (long term or temporary), the temperature of use (room temperature, pasteurization, hot mixing, sterilization, etc. ), the type of glass (soda-lime, borosilicate, lead crystal), etc. Under the most severe global migration test conditions, the containers are filled with deionised water (the food simulant) and subjected to heat treatment in an autoclave at 120°C for 30 minutes, while in other cases contact with the simulant may occur at 80°C for 2 hours, or at 40°C for 24 hours (3 repetitions). In the case of lead crystal glass, a specific Pb migration test is also prescribed, carried out in 3 repetitions at 40°C for 24 hours using a 3%vol aqueous solution of acetic acid as food simulant. Depending on whether the food contact glass object is a container, a hollow or flat tableware item, a decorated article, etc., specific migration tests for Pb and Cd should be carried out in accordance with one of the above standards. In substance, however, these test methods all prescribe to carry out the tests at 22 ± 2°C for 24 ± 0.5 hours using a 4%vol aqueous solution of acetic acid as food simulant, and the only difference between them concerns the number of samples and the method of preparation for the test, which varies depending on whether they are hollow or flat articles, whether there is an interest in testing the drinking rim (lip/item contact area), etc.